I have been a storyteller for 8 years now. I am a member of Ottawa Storytellers and a member of Sandy Hill Toastmasters club. 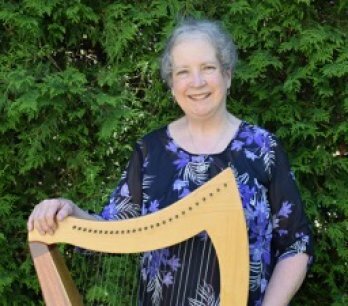 I enjoy telling stories to seniors, adults, and children and sometimes use my harp to help me tell. My background is Scottish and English and I enjoy telling stories from the Celtic tradition. I also like to research, write and tell stories about historical Canadian figures. I also have a particular interest in women who lived during Victorian times and how they managed to exert their influence, despite their constrictions. Lately I have been telling personal stories about my residence in Trinidad and Tobago, my life as a foreign service visa officer, and my father's journey to Canada as a British Home Child. Finally, I have started to write my own short stories for children based on puppets that have caught my eye! !